Ron Nurnberger Sends Along the SWCD Tournament Results. 2018 10 20. 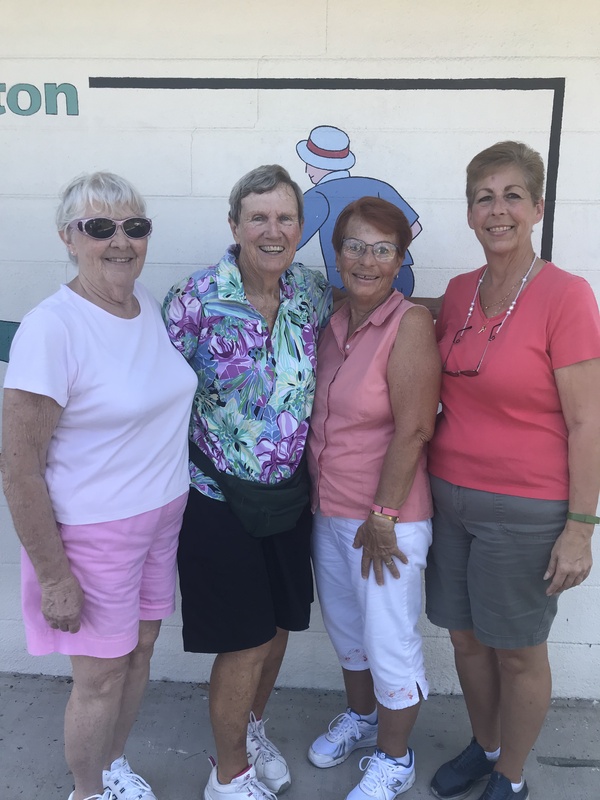 Ron Nurnberger Speaks: LADIES DIVISION: (Pic L to R) 2nd Place; Pat Tomko & Lois Wegner. 1st Place; Nancy Sclafani & Terri Smith. 3rd Place; Shirley McCullough & Flo Kowalewski. 4th Place; Cindy Slaughterbeck & Adriana Cramton. CONSOLATION: 1st Place; Marlene Coburn & Pam Nurnberger. 2nd Place; Arlene McCague & Chèryl Putnam. 3rd Place; Donna Schultz & Joan Curwin. 4th Place; Linda Wallingford & Letha Devries. MEN’S DIVISION: (no picture available) 1st Place; Faron Vandegrift (alias ‘Rust Bucket’) & Ben Coy (alias ‘Geritol’). 2nd Place; John Roberson & Nelson Kellogg. 3rd Place; Donald Brun & Arnie Cogdon. 4th Place; Vern Wallingford & Jean Wilson Jr.
CONSOLATION: 1st Place; Grant Childerhose & Tom Putnam. 2nd Place; Dwayne Cross & Dave Minnich. 3rd Place; Ron Nurnberger & Larry Taylor. 4th Place; Ed Leonard & Dave Welsh. 1 Response to Ron Nurnberger Sends Along the SWCD Tournament Results. 2018 10 20.